Your logistics strategy can have a significant impact on your business performance, and even your business survival. Among organizations with superior supply chain capabilities, a Deloitte study found that 79 percent achieve revenue growth that is significantly above average. The success of companies that rely heavily on supply-chain optimization such as Walmart and Amazon illustrates how superior logistics performance can translate into strong revenue growth. In contrast, just 8 percent of organizations with underperforming supply chains achieve above-average revenue growth. Here’s a look at some of the reasons why logistics can have such a significant impact on your business, and why choosing the right plastic molding manufacturer to support your logistics strategy is so important. One major way logistics can impact your business is by affecting your operating costs, says Logistics Bureau founder Rob O’Byrne. First of all, the cost-effectiveness of your logistics solution, whether in-house or outsourced, directly determines how much you pay for procurement, packaging, shipment, and storage. Then there is the indirect impact that pile-ups of excess inventory can have on your storage costs, sales, and cash flow. A quoted survey by PricewaterhouseCoopers founds that businesses that optimize their logistics enjoy supply chain costs 15 percent lower than those that don’t, along with 50 percent lower inventory holdings and triple the cash-to-cash cycle turnover. Plastic injection molding manufacturer Universal Plastic Mold illustrates how your logistics decisions can directly impact your operating expenses. With 50 years of experience in the plastics industry, UPM has learned through trial and error how to streamline logistics costs and avoid wasted costs. UPM’s 3PL services minimize supply chain expenses by combining in-house production capabilities with strategic shipping for parts that are less expensive to procure overseas. UPM offers warehousing, fulfillment, direct to store shipping, order picking, container unloading, local deliveries, long distance deliveries, and parcel shipments. UPM has worked with all of the major retail companies such as Walmart, Target, Home Depot, Lowes, TRU, Burlington, and Amazon to name a few. By strategically locating its facilities near the ports of Los Angeles and Long Beach, UPM is in an ideal location to pick up and unload shipments of small subcomponents that you can procure from overseas for low costs. We then assemble the subcomponents with larger injection molded parts that are cheaper to manufacture domestically. The result for UPM and its clients is total expenses with lower total landed costs than even China can provide. Production is another area of your business directly impacted by your logistics. Following a consistent production schedule depends on a reliable shipping schedule for required parts. If your supply chain is unreliable, your production will be impeded by frustrating starts and stops as you wait on parts needed, throwing off the schedule of everything downstream from the problem point. For efficient production, you need smooth logistics support. To keep your supply chain in pace with your production schedule, it’s crucial to choose reliable suppliers and to communicate with them closely. Before selecting a supplier, you should research their reputation for reliability, talk to them about what type of guarantees they offer, and get a written contract. Use analytics to track your production so you can better forecast your supply needs. It’s also a good idea to have a backup supplier for unexpected contingency situations, such as an equipment failure in your supply chain, recommends UPM president Jason Dowling. Dowling suggests that sending your supplier your product molds during your slow season will make sure you’re ready during your busy season if an emergency situation arises. Marketing is also affected by your logistics. When you’re planning a marketing campaign for a peak sales season like the holidays, you need to know how much product you’ll require in inventory to meet buyer demand. If your logistics lags behind your marketing schedule, you could wind up advertising products that aren’t available for a big sale. Supply chain expert Muddassir Ahmed says that using demand forecasting analytics is a best practice to make sure your marketing campaigns and product supply are in sync. Tracking your sales over the course of a year will give you a baseline for projecting future annual demand cycles. For the most accurate projections, shorten your forecast reporting frequency from monthly to weekly or even daily, recommends Logistics Viewpoints columnist Steve Banker. By impacting your marketing, logistics can also affect your sales. If products you advertised for your sales events aren’t available in stock, it can negatively impact your sales. In addition to transactions that you lose when customers want products that aren’t in stock, you also face the risk of lost upsells, missing out on repeat business, and fewer referrals. Using demand forecasting analytics will help ensure that your products are in stock when customers want to buy them. Furthermore, it’s important to sync your demand forecasting with your inventory management to make sure what’s in stock is on pace with projected demand levels. The impact of your supply chain efficiency extends all the way to your customers. When customers come to you seeking products that aren’t available, their satisfaction with your business will go down. The situation is even worse if your customers order something you advertised that isn’t available, or if their shipment is delayed as a result of supply chain problems. Delays can do more than cost you your current customers. It can further hurt your company’s reputation by driving away potential patrons who hear complaints about your supply chain. It is critical to gear your logistics strategy towards delivering customer satisfaction. You should gear your demand forecasting toward ensuring that the products that customers want are not only available but are also deliverable on time. You may be able to shorten delivery time by choosing a supplier who can also handle shipping products directly to your customers. 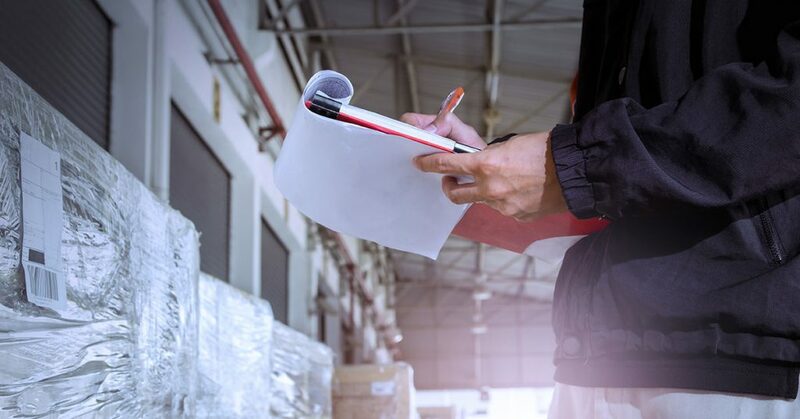 Outsourcing your logistics to the right provider can boost your customer satisfaction, with 83 percent of shippers and 94 percent of third-party logistics providers reporting that outsourced logistics improve customer service. It should be clear that logistics affects nearly every area of your business, from your operating expenses and production to your marketing and sales on down to your customer service. Choosing the right logistics strategy and supply chain partners are critical to business success. If you’re looking for a reliable plastic mold manufacturer to support your logistics strategy, contact Universal Plastic Mold to discuss your needs and receive your quote.